Portland is a progressive city. It’s renowned for a blend of do-it-yourself startups, craft breweries, and as headquarters for multiple athletic companies. In 2007, a former Portland-based executive decided to start an eco-friendly clothing and outerwear brand, drawing inspiration from a trip to Polynesia. The executive chose a name inspired by the Maori greeting “Nau Mai! Haere Mai!” – meaning “Welcome! Come in!.” The name, which is pronounced “now,” is a call to action. To its founders, it resonates as a contemporary, sustainable approach to West Coast clothing. Think ‘green’ fibers and fabrics, sustainable manufacturing, and pioneering environmental programs. A decade into existence, Nau has made huge inroads into eco-fashion with a stylish line of men’s and women’s apparel. Their clothing includes ethical down jackets, warm wool tops, and casual styles made of recycled fabrics, each infused with technical details perfect for Canadian weather. When Nau began, they realized their first collection needed to look good and use whatever eco-friendly materials they could afford. The first organic cotton crewnecks and recycled polyester layers were popular with customers, but Nau wasn’t satisfied. 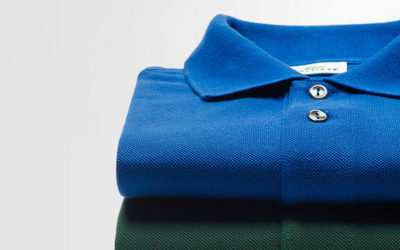 The brand developed a model to increase the use of environmentally conscious fabrics without sacrificing garment quality. Their goals meant developing more recycled materials with suppliers, creating a selection of technical fibers in line with the Global Organic Textile Standard (GOTS). The brand even began sourcing more expensive ethical goose down and merino wool at the expense of profit. The results have been better clothing. The quality of Nau’s garments increased thanks to the attention to the materials and design of their clothes, satisfying both customers and the planet. Nau’s collection is all about timeless versatility, allowing you to move effortlessly through urban and natural environments. Optimal fabrics maximize garment strength, fit, and performance, providing you with the best look and feel. The designs and articulation enable you to wear styles bike commuting to work and taking a casual day hike. This combination of eco-conscious textiles with modern, technical designs produces apparel ideal for your everyday pursuits and adventures to cities like Portland. Can Nau be a force for good? Along with their clothing, Nau has pioneered sustainable retail and philanthropic partnerships. In 2010, Nau was awarded Outside Magazine’s Best Companies to Work For. 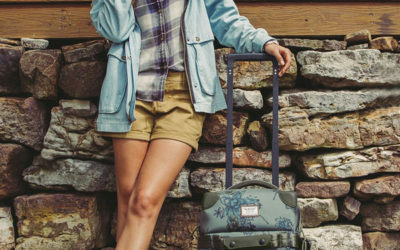 Each of the brand’s employees receives free public transit, and Nau purchases carbon offset tokens for corporate travel and product to merchant deliveries. The company also started an initiative to donate 2% of each sale to environmental community programs. The “Partners for Change” program supports Pacific Northwest organizations like People for Bikes, the Breakthrough Institute, and the EcoTrust. Nau’s goal for their customers is simple: they want their clients to look and feel good about purchasing high-quality clothing, suitable for any season or environment. With a stylish collection to choose from, the time is now for more eco-friendly brands and apparel.